If you've made it this far into 2018, then you've no doubt lived through the hype surrounding blockchain and cryptocurrency, especially when Bitcoin came close to eclipsing the $20k mark last December. While the market has simmered down significantly since then, the reality is that cryptocurrency—and the technology that powers it—is here to stay, especially now that companies are finding more inventive ways to put blockchain developers to use. Now, a future as a blockchain developer might not have been something on your radar before this year, but the field is accessible—and new—enough for even complete beginners to get their feet in the door. But, before you can do so, you'll need to understand what exactly blockchain is as well as one of its newest technologies: Ethereum. In its simplest form, a blockchain is a decentralized digital ledger capable of recording transactions. While recording cryptocurrency is one of its more popular uses, a blockchain can record virtually any type of transaction, from shipping information to medical data. The blockchain ledger is append-only, meaning that only new information can be added to it, while previous information is stored in "blocks" and cannot be modified going forward. This is done via cryptography, which links the new blocks with the older ones and forms the famous blockchain. Any attempt to tamper with the old data would compromise the new the data following it. The technical lingo can be confusing at first. Fortunately, some experts have tried their hand at explaining it with contemporary comparisons, like William Mougayar, author of The Business Blockchain. Mougayar equates the blockchain to an enormous Google Doc. Before everyone started using Google Docs, collaborating with other people meant bouncing Word documents to and from users while you wait for the other party to make changes. With Google Docs, multiple users can view and edit a document simultaneously, as it's continuously updated across all versions. Blockchains work in basically the same way, making them super handy for verifying banking transactions, contract adjustments, and other collaboration-heavy materials. The critical thing to remember is that blockchains are consensus-driven, meaning that to add to the ledger, changes have to be approved by the rest of the network, which is typically done by solving mathematical proofs and running the solution by the rest of the network. This makes blockchain ledgers decentralized and extremely difficult to hack, and their transactions can be published and made public. Most of us have seen blockchain through its association with Bitcoin, but to say that blockchain is only good for recording crypto-transactions is akin to saying your iPhone is only good for playing games. Ethereum is another distributed public blockchain network, but it leverages blockchain technology differently than a network like Bitcoin does. Putting it simply, Bitcoin was designed to be just a cryptocurrency, so it uses blockchain to record Bitcoin transactions. Meanwhile, Ethereum was designed to help developers create decentralized applications (also known as dapps), and it uses blockchain to run an application's programming code. This is made possible through Ether, the cryptocurrency that fuels Ethereum. Similar to how Bitcoin miners earn Bitcoin for helping validate Bitcoin transactions, Ethereum is also maintained by miners who are instead paid in Ether. 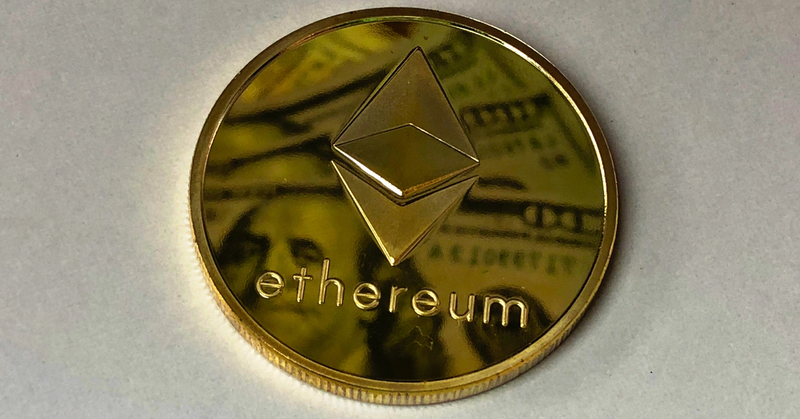 While Bitcoin and Ether are both cryptocurrencies, people can also spend Ether tokens to create and run applications as well as smart contracts via Ethereum. In their simplest form, smart contracts are essentially automated scripts that execute under certain conditions, most popularly when it comes to rendering payment for a service. The advantage that smart contracts have over traditional payment methods is that they're automated and objective. With no need for a digital notary to bless the transaction, smart contracts can execute the moment their programmed conditions are met. Ether and smart contracts ultimately culminate in creating dapps via Ethereum. From cloud computing and file storage to prediction markets and banking, there is a myriad of different ways you can leverage dapps, but regardless of what you build, you can enjoy the same blockchain-specific benefits. Compared to their centralized counterparts, Dapps are open-source, secure, autonomous, and much more reliable. These blockchain-specific advantages are a major reason why blockchain developers are in such high demand. Where to get blockchain developer training? All this talk of blockchains, Ether, and dapps might have your head spinning, but as mentioned earlier, this field is still very much in its nascence, meaning there's plenty of time to get up to speed with the essentials of becoming a blockchain developer. As you could guess, blockchain development relies a great deal on computer science, and you'll inevitably need to get comfortable with some different programming languages, such as Python and C++. Some blockchains are broadening their support to more languages, but regardless of which ones you choose, you'll need to be confident in your skills if you're going to be developing dapps for companies. Having a background in web development is also handy, and you'll want to be comfortable with some of the industry staples, like HTML, CSS, NodeJS, and MongoDB. Lastly, having a background in networking and security is ideal, too, as you'll likely be working with professionals involved in these fields throughout the development process. The Complete Ethereum Blockchain Mastery Bundle is a great primer for anyone looking to get their feet wet as a blockchain developer, especially now that it's on sale for more than 90% off its usual price. In a little over 10 hours, this four-course collection covers the foundations of Ethereum development. It includes a guide to the Ethereum ecosystem, information on creating a decentralized app, and instruction on using core Ethereum tools, like Solidity 3 and Truffle 2. Stay on the cutting-edge of today's tech innovations by becoming a blockchain developer. The Complete Ethereum Blockchain Mastery Bundle is on sale today for $29.